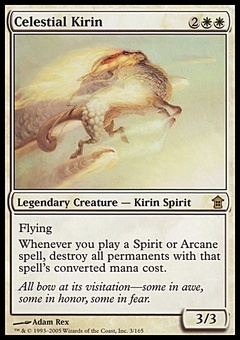 Whirler Rogue ($0.11) Price History from major stores - Magic Origins - MTGPrice.com Values for Ebay, Amazon and hobby stores! 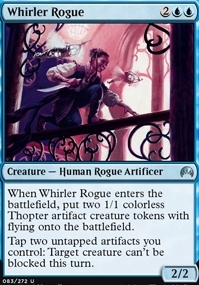 Card Text: When Whirler Rogue enters the battlefield, put two 1/1 colorless Thopter artifact creature tokens with flying onto the battlefield. 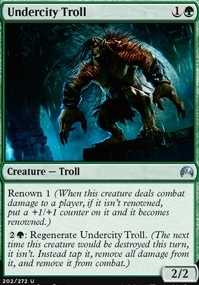 Tap two untapped artifacts you control: Target creature can't be blocked this turn.